Country fans get ready as the one and only – Jason Aldean takes to the stage this summer season! As he hits the road on his 'The Ride All Night Tour' – things are starting to heat up! Joining him for this special live show is Kane Brown… come and catch it all at Blossom Music Center on Friday 9th August 2019… tickets are NOW on sale for this unmissable event! Get ready!! The incredible Jason Aldean has truly kept the ball rolling with his non-stop success throughout his career, all the way from the beginning in 2005, right up until today as he continues to bring his wide selection of music to the stage. After making a sign to record label, Broken Bow, he was able to release a string of albums that have put him on the map and kept him at the top of his game! His six records have all reached platinum status and his 2012 release of 'Night Train' pushed it even further, giving him a double platinum spot but nothing beats 'My Kinda Party' – the album came out in 2010, in the midst of his journey in music and certified triple-platinum. Despite all of his previous success, nothing could prepare for 2014, as Jason Aldean bringing to the world his fastest ever selling single. "Burnin' It Down' certified platinum in just 9 weeks of being on the charts! To this day, Jason Aldean has more than proved that he's got what it takes to churn out a show stopping album and chart topping singles, with over 10 million album sales to this day and 14 hit number one's that have been featured on the Country Radio Charts – he has become a firm, long-standing favorite on the country scene, both on record and live in his performances. Well it's no wonder that people are travelling miles and across countries to witness this mega star in all of his glory! 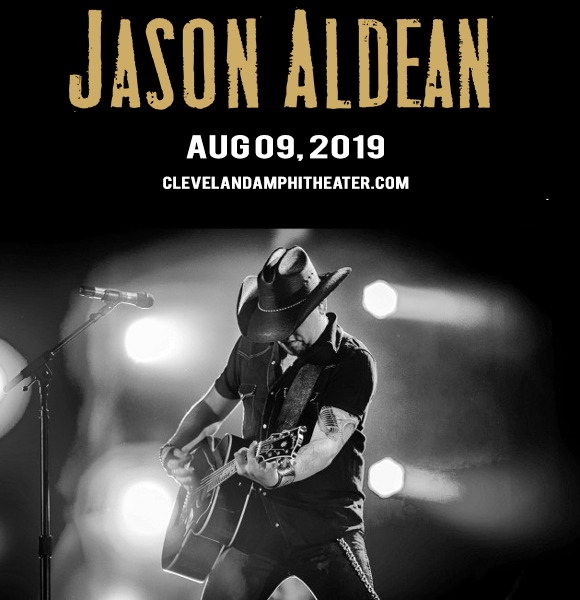 What ever you do this summer, be sure to put Jason Aldean on your must-see concert list for 2019! His Ride All Night tour is already well on it's way… there's no time like the presence to book your tickets online above today!